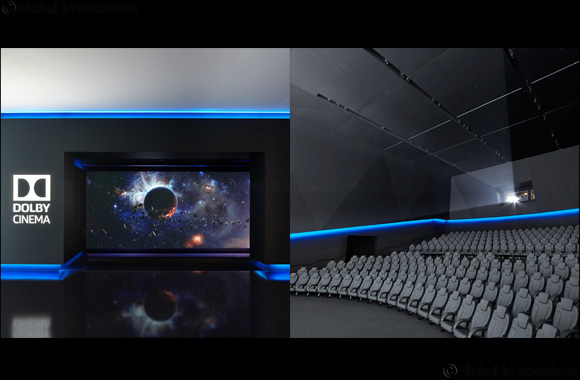 SAN FRANCISCO and KUWAIT, 25 July 2018 : Dolby Laboratories, Inc. (NYSE: DLB) and the Kuwait National Cinema Company (KNCC) have entered into a three-screen agreement for the first deployments of Dolby Cinema in Kuwait. The first site is expected to open later in 2018 at the 360 Mall in Kuwait City. KNCC, operating under the Cinescape brand. The news comes hot on the heels of recent announcements of upcoming openings in the UK with Odeon and with Kinopolis in Germany. “We are really pleased to be able to continue to drive momentum in our strategy to expand the Dolby Cinema footprint in the Europe and Middle East region” said Doug Darrow, Senior Vice President, Cinema Business Group, Dolby Laboratories. Each Dolby Cinema is equipped with the Dolby Vision laser projection system which delivers high dynamic range with enhanced color technology and a contrast ratio which far exceeds anything on the market today. The result is a dramatically different viewing experience that presents strikingly vivid and realistic images, making viewers feel like they are inside the movie's world. With Dolby’s inspired design, the Dolby Cinemas in Kuwait will provide customers with the ideal cinema environment from the entrance to the end of the film story.